Christopher Robin — now a family man living in London — receives a surprise visit from his old childhood pal, Winnie-the-Pooh. Rated PG, admittance to this free movie will be on a first-come, first-served basis. I read this article and found it very interesting, thought it might be something for you. 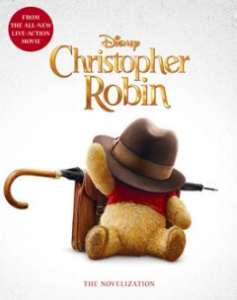 The article is called Kid Movie: Christopher Robinand is located athttps://www.pelhamlibrary.org/programs.